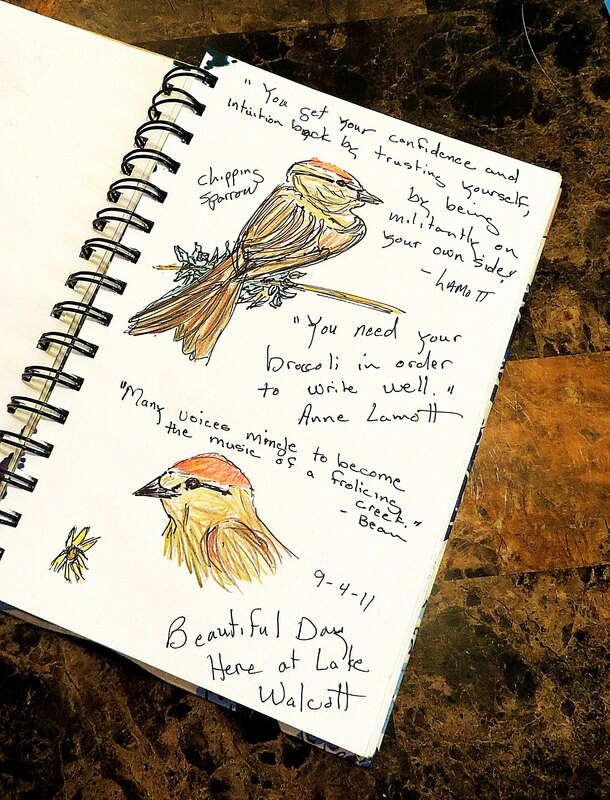 A page from one of my sketch books of a chipping sparrow. I promised to share my art occasionally and this just seemed like a good day to do it. So Much to Do, So Little Time. Dang it! The worse thing about my broken ankle, well now that I’m not in pain and it doesn’t hurt to walk a bit in my clunky boot, is not being able to drive. Thankfully, I had my daughter tootle me around town this weekend. I bought a vacuum, went to the post office and, drug store, did shopping for two weeks of groceries, and picked up pillows for my couch — which I had ordered to match the chair I bought because the chair that came with my red couch was ugly. Thankfully I had one of my grandson’s help in getting everything up to my third-floor apartment. Today was spent on a bunch of catch-up tasks, including the completion of a couple of writing projects. No not my book. I know. I know. I did a Valentine’s article for American Profile magazine and worked on a piece for Story Circle Network’s March journal. Now it’s almost 6 p.m. and I realized I hadn’t done anything for my own blog. Well, this is it – and all you are going to get today. I hope everyone had a happy Monday. Glad to hear you got out of the house and you’re not in pain. I also have a shoe/boot thingy on my foot for one more week (2 weeks already). Not an injury, just a chronic issue. Going a little nuts not hiking/jogging. Oh well…at least I have a foot! sorry to hear you hurt yourself 😦 Hope you heal soon! Nice sketches! Good to check in with another Story Circle cohort. I know what you mean about getting done with a book length piece. I’ve decided to apply for a residency where I will do nothing (except eat & sleep) but work on my book for a whole month. Hope you’re back hopping soon. That’s good that you are submitting for magazines. I’m looking forward to your book. I hope your ankle will allow you to move about easily soon and let you get back into the driving seat.